Water managers and officials said some riveting things in the last half of 2018 about the increasingly dry conditions in the Colorado River system, and the falling water levels at Lake Powell and Lake Mead. 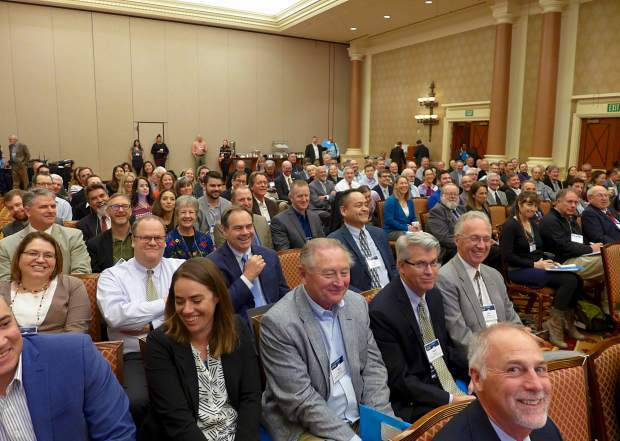 Many of the most hair-raising remarks heard at water meetings were made while water officials and managers were discussing “drought contingency planning,” or DCP. The effort, a response to an 18-year drought, includes a series of agreements — among various regional, state and federal entities — that are designed to bolster water levels at Powell and Mead. 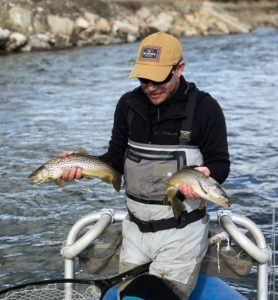 The two giant reservoirs are fed by the tributaries of the Colorado River system, including the Roaring Fork, Fryingpan and Crystal rivers, so changes in the sprawling river basin can ripple all the way upstream. Here’s a sampling of what’s being said out there. “After experiencing the fourth driest year on record last year, Lake Powell and Mead’s combined storage sits today at 46 percent. That is the lowest level since 1966, when Lake Powell was initially filling and cutting off water supplies down south. To put it in more personal terms, these are the lowest reservoir levels in my lifetime.” — Brenda Burman, commissioner of the U.S. Bureau of Reclamation, on Dec. 13, at the annual meeting of the Colorado River Water Users Association at Caesars Palace in Las Vegas. 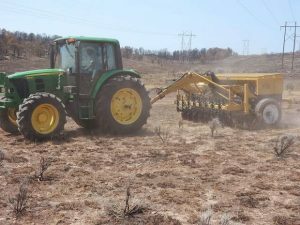 “If we were to have a repeat of the 2000-to-2005 drought, with current demands and current levels of operations, we would essentially drain Lake Powell. 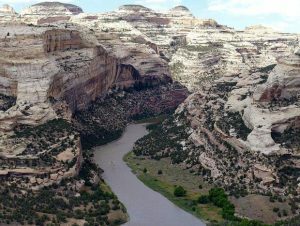 It would go down to nothing.” — Eric Kuhn, former general manager of the Colorado River District, on Sept. 14, at the district’s annual seminar in Grand Junction. “It does not look good. It is a real and present danger for us to be facing the hydrology that we have today, and the 24-month outlook for that.” —Peter Nelson, chairman of the Colorado River Board of California, on Dec. 13 at a CRWUA meeting. “Today’s level of risk is unacceptable, and the chance for crisis is far too high.” —Burman, on Dec. 13 at a CRWUA meeting. “We’ll be in crisis mode if DCP isn’t completed.” —Pat Tyrrell, state engineer for Wyoming and commissioner on the Upper Colorado River Commission, on Dec. 13, at a CRWUA meeting. “It’s not a drought-contingency plan, it’s a survival plan due to current conditions.” — Bill Hasencamp, manager of Colorado River resources for the Metropolitan Water District of Southern California, on Aug. 22, at the summer meeting of the Colorado Water Congress in Vail. “It’s important to understand that we are looking at giving up a very large amount of Colorado River water in central Arizona, nearly half. That’s a painful conversation. And, of course, everyone thinks that their own water use is justified and no one else’s is.” — Kathryn Sorensen, director of City of Phoenix Water Services, on Dec. 13 at a CRWUA meeting. “We are teetering on the brink of a shortage today, and we see real risk of rapid declines in reservoir elevations, particularly at Lake Mead in the very near future.” — Burman on Dec. 13 at a CRWUA meeting. “If we have the worst-case hydrology, it is possible that our state may need to move to an involuntary (water-curtailment) system. But we want that done through a public process. We want the stakeholders at the table.” — Andy Mueller, general manager of the Colorado River District, on Sept. 14 at a district seminar. “To me, the best way of conserving water is not to use it, is not to grow, is not to continue to drain the Colorado River. But realistically looking at it, that is not going to happen.” — Keith Moses, vice chairman of the Colorado River Indian Tribes, on Dec. 13 at a CRWUA meeting. “As we get hot and dry, we just have less available water and we see more demand.” — Taryn Finnessey, senior climate change specialist for Colorado on Aug. 24, at a CWC meeting. “(The water entities in Arizona) have grasped that concept — that we’re going to be in a drier future with less water.” — Thomas Buschatzke, director of the Arizona Department of Water Resources, on Dec. 13 at a CRWUA meeting. “We see this train that’s coming at us at 5 miles an hour, and if it hits us, it’s our own damn fault, because you can just see that reservoir level going down.” — Jim Lochhead, CEO of Denver Water, on Aug. 23 at a CWC meeting. “We will act, if needed, to protect this basin.” — Burman, on Dec. 13 at a CRWUA meeting. “The law of the river isn’t carved on stone tablets.” — John Entsminger, general manager of the Southern Nevada Water Authority, on Dec. 13 at a CRWUA meeting. “Someone’s going to have to use less water.” — Kuhn on Sept. 14 at a Colorado River District seminar.